Prof. Zhang invented the bidirectional-traction reduction device, which is primarily composed of a reduction scaffold, traction bow, traction pin, connecting rod, auxiliary reduction device (bilateral frame and Schantz pin or Kirschner wire) and proximal connecting device. Prof. Zhang invented the bidirectional-traction reduction device, which is primarily composed of a reduction scaffold, traction bow, traction pin, connecting rod, auxiliary reduction device (bilateral frame and Schantz pin or Kirschner wire) and proximal connecting device (Figure 1). Figure 1 a et b : The overview of the bidirectional-traction reduction device. 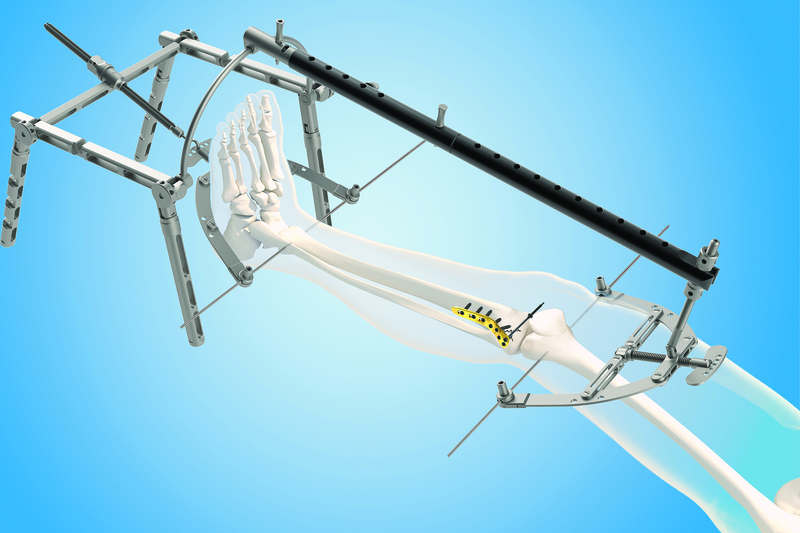 This device can help reduce the fractures of four extremities (Figure 2). Figure 2 : The indications for the bidirectional-traction reduction device. 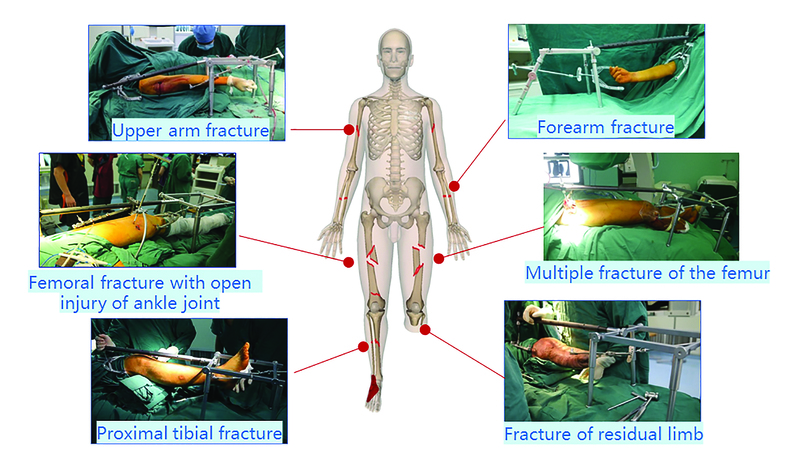 Taking proximal tibial fracture for example, the surgical technique was introduced briefly as follows. The patient was placed in a supine position. 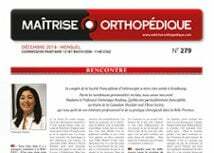 A Kirschner wire of 3-mm in diameter was drilled into the distal part of the femoral condyle and was connected to the proximal connecting device via a traction bow. A Kirschner wire of 2.5-mm in diameter was drilled into the distal tibia and was connected to the reduction scaffold also via a traction bow. 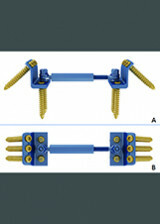 A connecting rod of the proper length was selected to connect both proximal and distal parts as a whole (Figure 3). 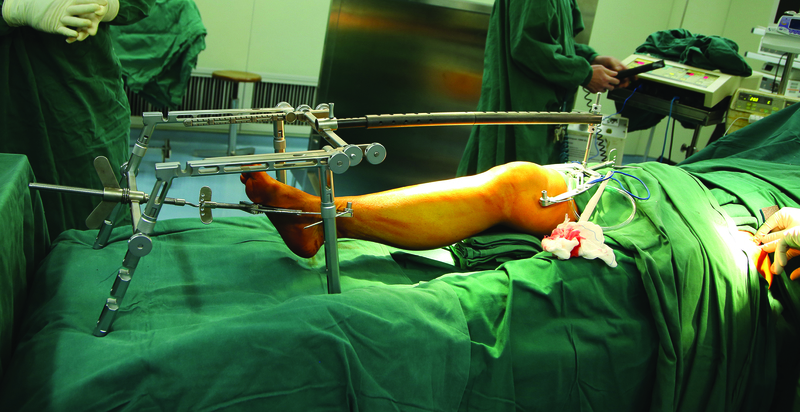 Figure 3 : The bidirectional-traction reduction device is applied to reduce tibial plateau fracture.